College students considering careers in fields like archaeology or geology that require extensive work at remote field sites might want to find out how potential supervisors and advisers conduct themselves in the field. Do they establish clear ground rules for the behavior of everyone on the team? Are the rules consistently enforced? According to a new report, such factors likely influence whether students will witness or experience harassment while working far from home. The new study draws on interviews conducted as part of a survey of hundreds of students who reported on their field-research experiences in the life, physical and social sciences. The larger study, reported in 2014 in the journal PLOS ONE, found that 59 percent of respondents had experienced sexual harassment at field sites and 19 percent had been sexually assaulted. The new analysis takes a qualitative look at interviews conducted with a random sample of 26 of the respondents who were willing to be interviewed. 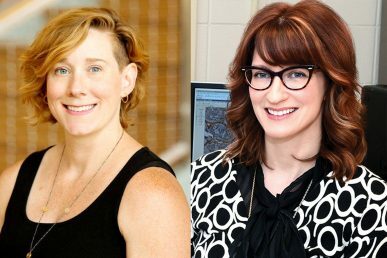 “These interviewees, both men and women, shared positive and negative field experiences that deeply shaped them as scientists and as people,” said University of Illinois anthropology professor Kate Clancy, who conducted the research with Julienne Rutherford, of the University of Illinois at Chicago; Robin Nelson, of Santa Clara University; and Katie Hinde, of Arizona State University. “Many of the scientists we interviewed revealed a real lack of clarity in what constituted appropriate professional conduct, because the field site would have no rules or the rules wouldn’t be enforced, or the director himself or herself would be a perpetrator of psychological abuse or sexual violence,” Clancy said. The new study, reported in the journal American Anthropologist, found that field site directors who failed to establish clear ground rules for the behavior of their team also were more likely to tolerate, ignore — or in some cases, engage in and encourage — the physical and/or sexual harassment of some members of their team. According to interviewees who had had positive fieldwork experiences, site directors who set clear guidelines for behavior and stressed the importance of mutual support among team members created a positive work environment for everyone on their team. Such leaders also tended to make themselves accessible to even the most junior members of their team, and made a special effort to include and accommodate those with physical or other limitations. “Science is not just the samples and data, it is also the people and process,” Hinde said. Abusive site directors often undermined their targets’ educational goals by giving them less-desirable tasks — housekeeping or cooking chores for female, but not male, team members, for example — and denying them access to activities that would enhance their research-related experience and understanding, the interviews revealed. “People who had negative experiences in the field often felt isolated and undermined by their perpetrators, so that their contributions to the projects were diminished or attributed to someone else,” Rutherford said. Some site directors also limited team members’ access to food, water or the opportunity to empty their bladders. The new analysis offers a few guidelines for those hoping to design field studies that benefit everyone on the team, Nelson said. Funders for this work include the National Institutes of Health Building Interdisciplinary Research Careers in Women’s Health Program, the Illinois Center for Advanced Study Beckman Fellowship, and the Illinois Leadership Center Faculty Fellowship at the U. of I.
Clancy also is affiliated with the Beckman Institute for Advanced Science and Technology at the U. of I.